A completely gated and non-smoking apartment community. Come home to northeast Wichita’s most prestigious address! 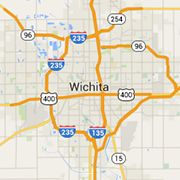 Conveniently located in Northeast Wichita near parks, schools and shopping. Highland Square blends a variety of features into an attractive atmosphere for quiet apartment living. Horizons East Apartments offer you the most enjoyable experience in dignified townhome and apartment living. Northpark Residences is designed with you in mind to provide a comfortable and enjoyable apartment home for you! Wichita's finest housing available for lease - long term, short term, or furnished executive. Now Accepting Reservations for Your New Home. Willow Creek is a new concept in living, with each apartment home overlooking a lovely landscaped courtyard.